According to the report of the Israeli newspaper Harties, this is the third case in which the police is investigating the corruption against Israeli Prime Minister. 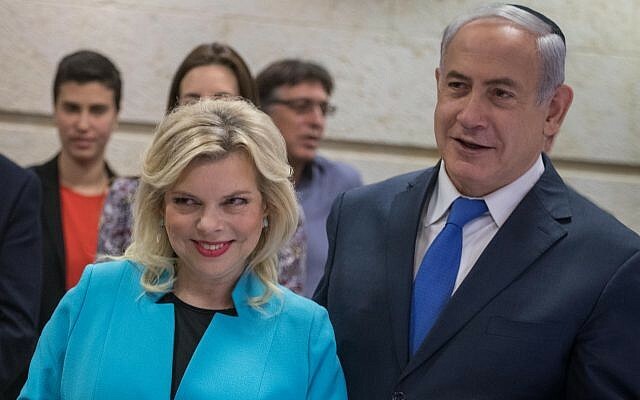 Israeli police propose to include the country’s Prime Minister Benjamin Netanyahu as well as the charge sheet of his wife Sarah as well as the country’s largest media group head Shaul and his wife Eres bribery and corruption case. According to the report of the Israeli newspaper Harties, it is the racer case in which the police are investigating corruption against the prime minister. The idea was that the statement of the police in front of the Israeli Prime Minister to join the charge sheet came at this time when police commissioner Ronny Elizabeth resigned after completing a 3-year term. Police said in a statement that Netanyahu allegedly was accused of providing support for Shaul and bribery for personal interest. Remember that Shaul is the head of Israel’s largest telecommunications firm Bazek and Newswide which is one of the country’s largest 2 web sites. According to the Times of Israel report, investigators say that they have such evidence which Netanyahu can be included in the charge sheet for the trial. The case mentioned is bribery fraud and is beneficial to misuse. In August this year, Netanyahu was investigated in connection with corruption in Israeli Telecom. It is clear that the Israeli Prime Minister has repeatedly denied the allegations of corruption. Earlier, on February 14, 2018, Israeli police had proposed to file bribery and corruption against Prime Minister Netanyahu. Police claimed that Netanyahu received $ 3m bribe from two different personalities however, the Israeli prime minister also dismissed the allegations uncertainty on the occasion that they will not be the helper of the Prime Minister. In July 2016, Israel’s Attorney General Avichai Mandelblit had said that he ordered the investigation of an important issue linked to Netanyahu.